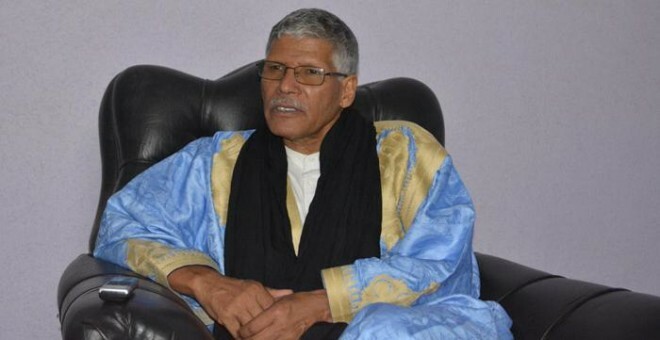 By forcing the Polisario leader Brahim Ghali to appoint Abdelkader Taleb Omar as ambassador in Algiers, the Algerian regime has avoided a confrontation with unpredictable consequences between the ousted Prime Minister of the so-called SADR and the current leader of the separatist front. According to well-informed sources in the Tindouf camps, tension between the Polisario leader and Taleb Omar was at its height and was about to escalate into clashes between rival clans, especially since Taleb Omar had managed to set up a broad network of supporters during his 15-year tenure as prime minister. Few months ago, Algerian generals pressed Brahim Ghali to replace Taleb Omar by Mohamed Akaik, a graduate of the Cherchell Military Academy in Algiers, but they did not imagine that the hostility between Taleb Omar and Brahim Ghali was going to take on such proportions within the Polisario. For his part, Brahim Ghali was glad to be given the opportunity to get rid of Taleb Omar and to replace him by Akaik. Actually, the Polisario leader was challenged by an unprecedented discontent in the camps and was seeking to tighten up his grip on the camps populations and to muzzle the increasing dissonant voices. And Akaik was the right man for the dirty work. Before he was appointed prime minister, Akaik was in charge of the Polisario’s intelligence service and was therefore very close to the Algerian military intelligence officers (former DRS) who control the Tindouf camps. With Taleb Omar’s appointment in Algiers, the Algerian generals have killed two birds with one stone: Have Akaik, a hawk, in control of the camps, and Taleb Omar in Algiers, in case Brahim Ghali is no longer useful for the Algerian masters.